Copyright – Herald & Weekly Times 1966. 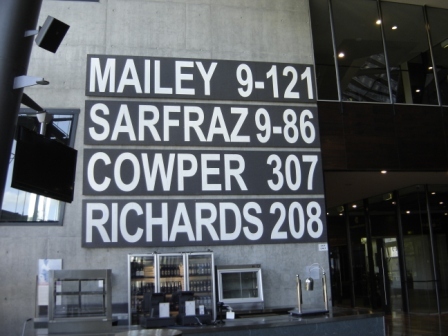 Cowper’s score is part of a scoreboard sculpture by Mathew Greentree within the Members’ Atrium of the MCG. "I didn't like the idea of them pulling down the scoreboard because I thought that should have been heritage listed." Bob Hill, Collingwood scoreboard attendant at Victoria Park from the late 1960s to 1999. The Age 24 May, 2014. 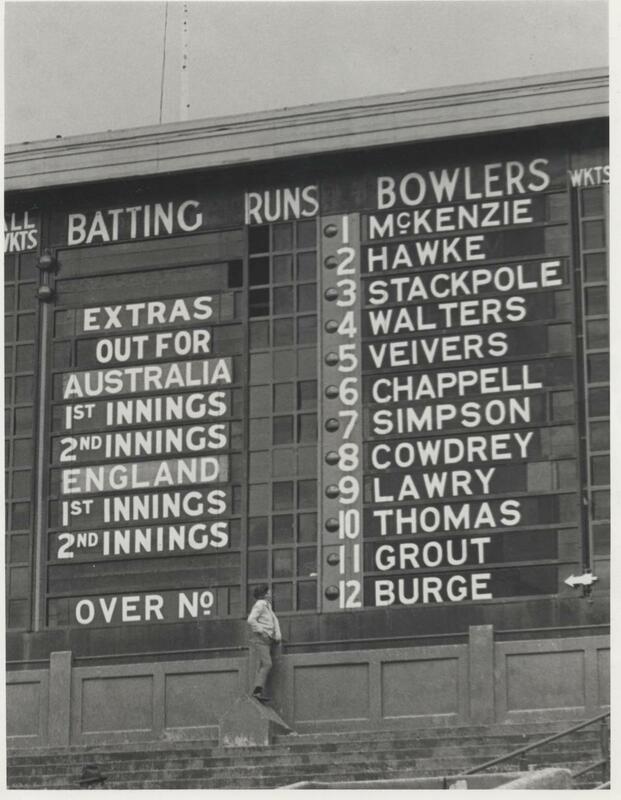 Scoreboards are stubborn things but they've been around a long time. Stats are always playing catch up. See our Sundries page, above, for many more words about scoreboards. Enter your email address to learn about more scoreboards via courier pigeon and by email.